port GmbH회사는 PROFINET Protocol Stack(CC-A / CC-B RT1) 솔루션을 제공합니다. 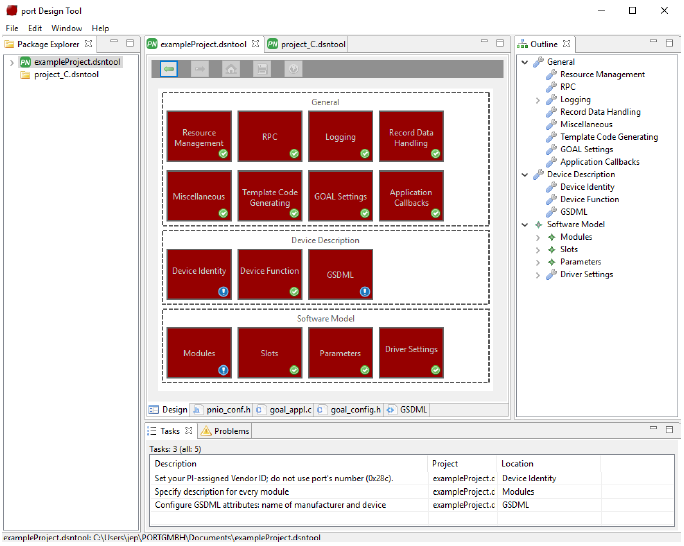 PROFINET Protocol Stack은 IEC standard IEC 61158 / IEC 61784 표준규격에 따라 개발된 제품입니다. Real Time Class 1과 함께 Conformance Class A와 Class B를 지원합니다. Protocol Stack의 Code Side가 Compact함에 따라 다양한 MCU지원가능합니다. PROFINET Stack는 기본적으로 TCP/IP Protocol Stack기반 위에서 동작하는 스택인 관계로 lwIP TCP/IP Stack 또는 uIP Stack기반 위에 PROFINET Stack이 동작합니다. 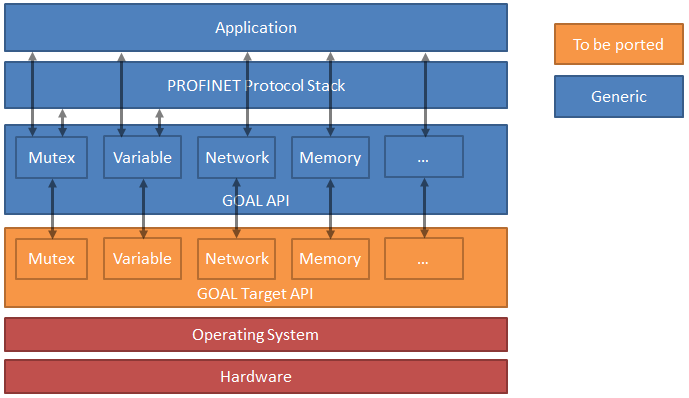 추가적으로 TCP/IP기반 Feildbus Stack(PROFINET, EtherNet/IP, Ethernet POWERLINK)의 통합성과 확장성을 위해 GOAL(Generic Open Abstraction)를 개발하였고 GOAL와 PROFINET Stack를 같이 제공하고 있습니다. 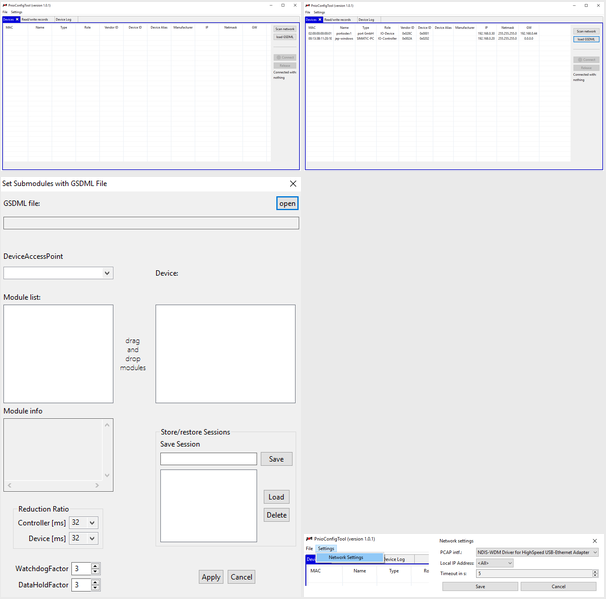 PROFINET Device Monitor Tool은 PROFINET Slave I/O device를 검증 테스팅하는데 있어 PROFINET Master Simulator로써 동작하며 PROFINET I/O device에 대한 Monitorting 및 Control를 하여 PROFINET I/O device 검증을 수월하게 할 수 있다.